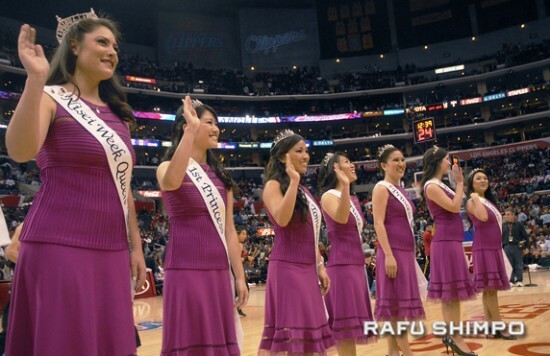 Queen Emily Folick (left) and the Nisei Week Court greeted fans Wednesday at Staples Center as the Los Angeles Clippers hosted their annual Japanese American Community Night, which has been held since 2006. The court was introduced by Steve Inouye of the Nisei Week Foundation. 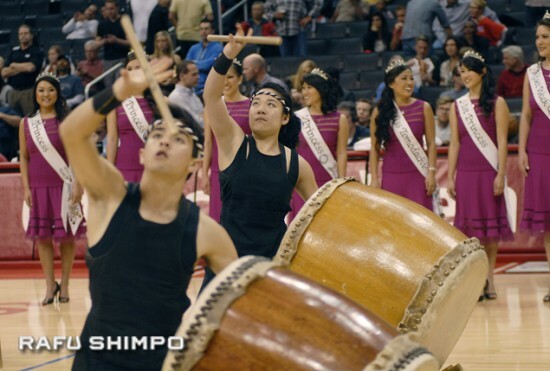 UCLA Kyodo Taiko performs as part of the halftime festivities, getting an enthusiastic response from the audience. Blake Griffin shoots over Memphis' Marc Gasol, but the Clippers fell to the Grizzlies, 96-85.